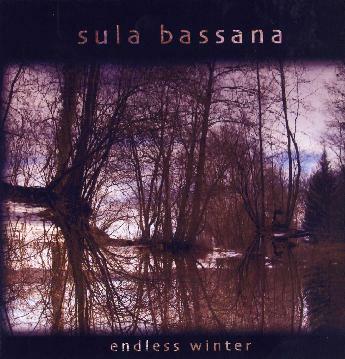 Sula Bassana - "Endless Winter"
Sula (Dave) produced this during the long cold winter last year and it is mostly long spacey guitar excursions into space, with looping, overdubs and a lot of feeling… 4 tracks in 70+ minutes. Fields of Snow is a mellow slow echoy drifting piece with loads of delay guitar in layers. Cool. Next up is the 26 minute Endless, which starts with a heavy guitar riff upon which delay guitar is layered on and has a pretty basic single kick drum and repetitive bass line leading the way for a while as well. Very psychedelic trip music. Some really beautiful guitar at the end of this track. This could have been a Zone Six jam. Crystal Cold follows for the next 17 minutes of more spacey David Gilmour influenced guitar like in the live from Pompei spacey stuff. Early Sun ends this delay-space-guitar workout for the mind. Very cool stuff if you are in the right mood.